SVEDKA Vodka, the #1 Imported Vodka in the United States, has a loyal fan base that loves football almost as much as they love their cocktails. So together with its agency Bensimon Byrne, SVEDKA set out to steal some football-spotlight. 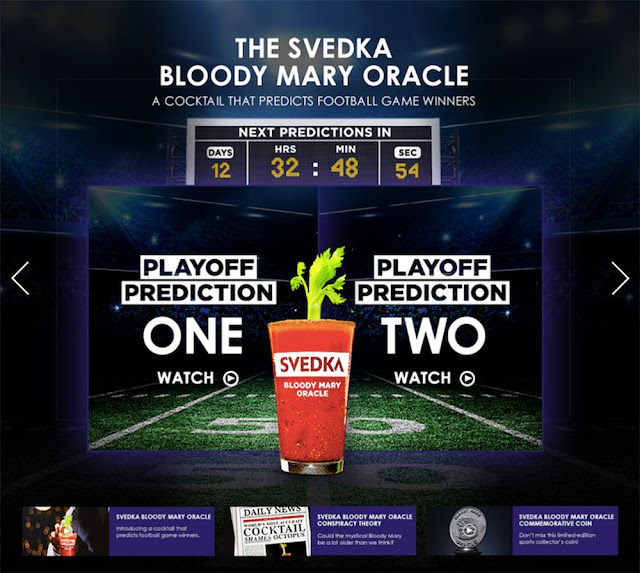 Continuing with its irreverent humour (from past ​Halloween campaigns - Printable Costumes and First World Horrors​), SVEDKA takes aim at the most sacred of sports activities – predicting game winners. So leading up to the “Big Game”, SVEDKA launches a Bloody Mary cocktail that predicts football games with celery-precision. A delicious oracle that makes its pick based on which side of the glass the celery falls. 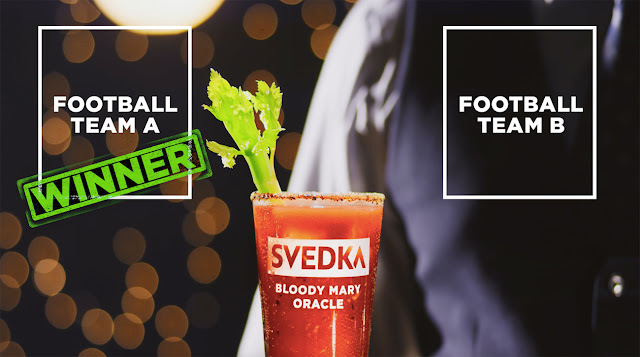 The fully digital campaign consists of banner ads, enhanced banners, pre-roll videos, and various social media posts that all drive to SVEDKA’s online hub,​ http://www.svedka.com/hub/oracle​,​​ which hosts all the videos as well as a variety of SVEDKA Vodka Bloody Mary recipes and more. The SVEDKA Bloody Mary Oracle’s football game prediction videos will be released the week of each game. Additional videos include a Launch spot to kick off the campaign, as well as the Conspiracy Theory and Commemorative Coin videos that build upon the SVEDKA Bloody Mary Oracle’s legend.